› DIY Printing Tips › Quickbooks Tips › QuickBooks W2 Alignment Fix…Take Two! Intuit has released Payroll Update 21504, with revised tax tables. Several forms updates are provided for Standard and Enhanced Payroll customers, including corrections for W-2 and W-3 alignment issues. The Payroll Update ensures that you will be in compliance with legislation that affects your payroll. For details on the contents of this update, go to Employees > Get Payroll Updates > Payroll Update Info. To confirm that you have received the update, open QuickBooks and choose Employees > Get Payroll Updates. If you don’t see a message that says, “You are using tax table version: 21504,” click Update. Get complete instructions. To turn on the automatic updates feature in QuickBooks so that you automatically receive payroll updates when they are released, choose Help > Update QuickBooks. On the Options tab, select Yes for Automatic Update. Disk delivery customers: The next disk delivery is scheduled for late January 2015. If you have an internet connection, we strongly recommend that you download this update now. Follow these instructions. Hopefully, this will fix the issues people have been having. Please consider leaving a comment below whether or not this update has resolved your alignment issues. QuickBooks W2 Printing Issue Fixed W2 Printing Issue in QuickBooks QuickBooks and W2’s…the saga continues! 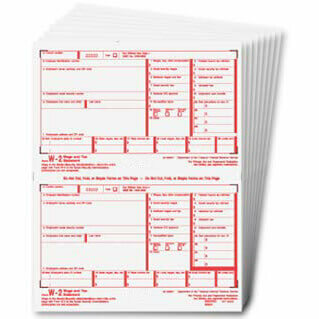 How do I set up QuickBooks to print on postcards?